"Having Steven Moffat as show runner write such varied, funny, mind-bending and brilliant scripts has been one of the greatest and most rewarding challenges of my career. It's been a privilege and a treat to work with Steven, he's a good friend and will continue to shape a brilliant world for the Doctor. "The fans of Doctor Who around the world are unlike any other; they dress up, shout louder, know more about the history of the show (and speculate more about the future of the show) in a way that I've never seen before, your dedication is truly remarkable. Thank you so very much for supporting my incarnation of the Time Lord, number Eleven, who I might add is not done yet, I'm back for the 50th anniversary and the Christmas special! Steven Moffat, lead writer and executive producer, says: "Every day, on every episode, in every set of rushes, Matt Smith surprised me: the way he'd turn a line, or spin on his heels, or make something funny, or out of nowhere make me cry, I just never knew what was coming next. The Doctor can be clown and hero, often at the same time, and Matt rose to both challenges magnificently. "And even better than that, given the pressures of this extraordinary show, he is one of the nicest and hardest-working people I have ever had the privilege of knowing. Whatever we threw at him - sometimes literally - his behaviour was always worthy of the Doctor. "But great actors always know when it's time for the curtain call, so this Christmas prepare for your hearts to break, as we say goodbye to number Eleven. 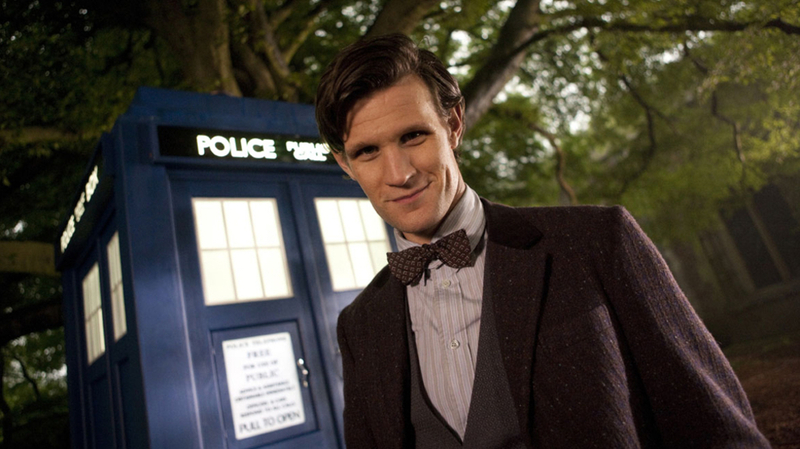 Thank you Matt - bow ties were never cooler. "Of course, this isn't the end of the story, because now the search begins. Somewhere out there right now - all unknowing, just going about their business - is someone who's about to become the Doctor. A life is going to change, and Doctor Who will be born all over again! After 50 years, that's still so exciting!" Matt's spectacular exit is yet to be revealed and will be kept tightly under wraps. He will return to BBC One screens in the unmissable 50th anniversary episode on Saturday 23 November 2013 - TUNE IN!